Fleet was part of the Holbeach sub-district of the Holbeach Registration District. In 1891 the southern portion of the parish was reassigned to the Gedney Hill subdistrict of the Holbeach Registration District. The Lincolnshire Archives holds census returns for Fleet for the years 1811, 1821, and 1831. Normally, these will have only a surname and a count of males and females by age bracket. We have a small file of surnames found in the 1901 Census extract. Please feel free to submit additional entries. You can also perform a more selective search for churches in the Fleet area or see them printed on a map. The Anglican parish church is dedicated to Saint Mary Magdalen. The church is an ancient structure (prior to 1245). There is an old tower, separated from the church by several yards. Most of the church was rebuilt during 1860-62. The interior of the church was restored in 1911. The Anglican parish registers exist from 1561. We have a small extract file from the Fleet parish register. Please feel free to add your own entries (see contact info below). Also check out the file of Fleet Phillimore Marriages. 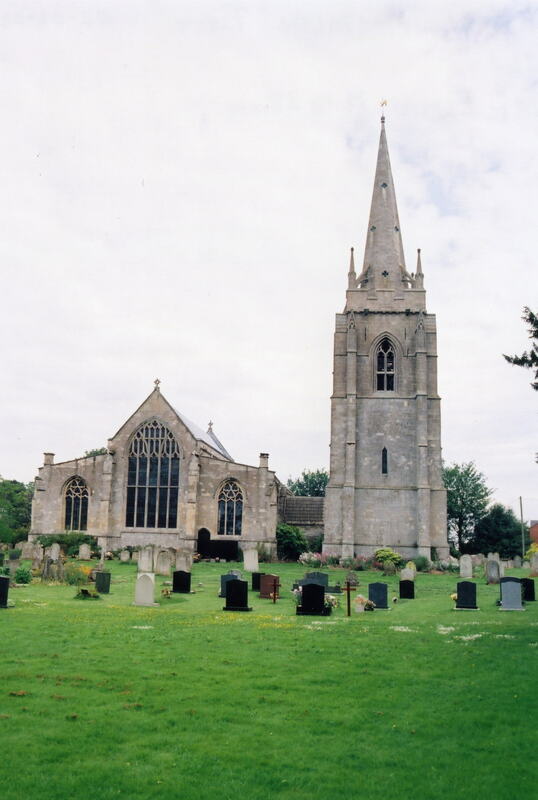 The Lincolnshire FHS provides several marriage indexes and a burial index for the East Elloe Deanery to make your search easier. The Baptists built a chapel here in 1764, which had a burial ground and minister's house adjoining. The Unitarians also had a chapel here before 1842. For information and assistance in researching these chapels, see our non-conformist religions page. Fleet is both a village and parish about 100 miles north of London, about 6 miles west of Spalding. Holbeach parish lies to the northwest. The parish is large is a long, narrow affair running roughly north and south to the border of Cambridgeshire, and incorporates the hamlet of Fleet Hargate. The A17 trunk road runs through the parish. The area is marshy, drained by many small canals and the South Holland Main Drain. In land area, it is approximately 6,800 acres. The village is just off the A17 trunk road. Ask for a calculation of the distance from Fleet to another place. You can see the administrative areas in which Fleet has been placed at times in the past. Select one to see a link to a map of that particular area. The Earls of Bedford started to drain the Fens around Fleet in the 17th century. The parish had a station on the Bourn and Lynn rail line in the mid-19th century (eventually to become the Great Northern Railway). An older Manor, called Blanches or Branches, where Captain J. H. BARKER was lord, was extinct by 1872. Although White's 1872 Directory lists an Edward MILLINGTON, land agent, as the resident at Branches Manor House, so the house itself may have been standing at that time. The parish was home to the East Elloe Rural District Isolation Hospital, built in 1910. The hospital could hold up to 10 patients. No records are known to be available. Inside the church, on the south-east wall, is a bronze tablet with the names of the men from the parish who died in World War I. In 1921 a War Memorial was erected near the main road to honour those who served and fell during World War I. In St. Mary's churchyard there are 4 Commonwealth War Graves for World War I and 2 for World War II:. Cecil DAWSON, priv., 3rd Btn. Border Regt., age 28, died 22 Aug. 1917. Harry LAW, lieut., 1st Btn. Royal Welsh Fusiliers, age 23, died 21 July 1915. Son of James H. A. and Mary LAW of Chelmsford. Alfred RINGHAM, priv., Royal Army Veterinary Corps, age 34, died 26 Feb. 1919. Charles TINGLE, priv., 7th Btn. Sherwood Foresters, age 18, died 8 July 1918. Son of Henry and Betsy E. TINGLE of Holbeach Fen. Dennis MACKMAN, sapper, Royal Engineers, age 24, died 15 May 1946. Son of William and Alice MACKMAN of Fleet Fen. Leslie PORTER, priv., 2nd Btn. Lincs. Regt., age 41, died 20 Sept. 1943. Son of Allen Shaw and Annie Elizabeth PORTER of Fleet. The name Fleet is from the Old English fleot, or "stream". In the 1086 Domesday book, the village is recorded under the Old English name as Fleot. The parish was in the ancient Elloe Wapentake in the South Holland district in the parts of Holland. The Common Fields were enclosed here in 1794. 23 acres were set aside to generate income for the poor. After the Poor Law Amendment Act reforms of 1834, the parish became part of the Holbeach Poor Law Union. The Holbeach Union Workhouse is in this parish. The 1891 and 1911 populations, and probably most of the other years after 1837, includes the staff and inmates in the Holbeach Union Workhouse. A Free School was endowed in 1727, although the date of first classes is unknown. It was free to all poor children. That building was rebuilt in 1813. A new school was built in 1842, but ceased to exist by 1900. This was known as Hargate School. Wood Lane School was built in 1878 and enlarged in 1895 for up to 151 children. Fen School was built in 1878 to accomodate 100 children.